Turmeric is well known for it's health benefits. A powerful phytochemical in it is known as curcumin and it has also become famous. This article was written December 5, 2013. 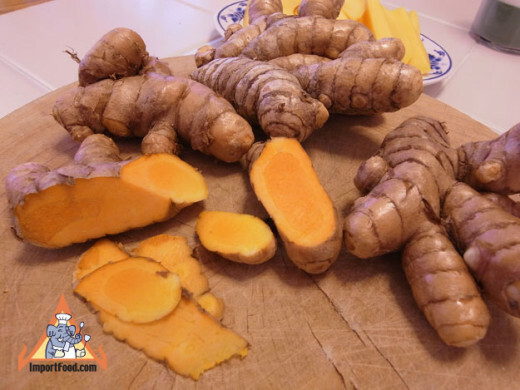 Just like tomatoes and watermelons are red because of the phyochemical (plant medicine), lycopene in them, the curcumin is responsible for the yellow color of the turmeric rhizome (a mass of roots). No other food ingredient has such a powerful anti-inflammatory effect. Most curry powder recipes include coriander, turmeric, cumin, fenugreek, and red pepper [cayenne] in their blends. Depending on the recipe, additional ingredients such as ginger, garlic, asafoetida, fennel seed, caraway, cinnamon, clove, mustard seed, green cardamom, black cardamom, nutmeg, long pepper, and black pepper may also be included. I am a Jewish/Irish-American but I love Indian food. The majority of Indian food is vegetarian. So if someone becomes a vegetarian they can eat some delicious Indian food. Now their secret is that they make these sauces that the vegetables are in. They have mastered the mixtures of spices to add to make it taste great. They also make it very hot (spicy) but in restaurants you can order a milder version. The ones sold in grocery stores are very mild since you can spice it up at home. But many people also like spicy foods like spicy Mexican foods and also sushi for the extremely hot wasabi. 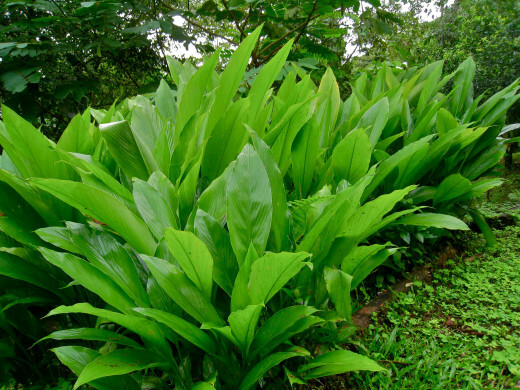 Turmeric made the list of the 13 best herbs of Dr. James A. Duke (PhD in Botany). He worked for the U.S. Department of Agriculture (USDA), in the Medicinal Plants Research Laboratory, for over 3 decades cataloging the different plant medicines (phytochemicals) in different plants (herbs). See 13 Best Herbs for Health and Healing. Actually I had them add fake duck and walnuts to it, so they called it Charlie Hot Pot. Charlie is another nick-name for Charles like Chuck is. The Chinese like Charlie Chaplin and can have trouble pronouncing some English words so they pronounced Charlie as Cha Lee. So you can learn to use turmeric or curry in the food that you eat. Also the book above says turmeric is much more bioavailable if eaten eaten with black pepper and many curries have both turmeric and black pepper. Piperine is a main biochemical in black pepper. Here is a PubMed study called Influence of piperine on the pharmacokinetics of curcumin in animals and human volunteers. It says that the piperine increases the bioavailability of curcumin by 20 times. Also see the 4 minute video below by Michael Greger M.D. about this. Piperine is a phytochemical in black pepper just like curcumin in turmeric. Antiseptics prevents the growth of disease-causing microorganisms. The above benefits are from applying it topically. Turmeric was the second food listed among the foods that prevent cancer in the Anti-Cancer book listed above. So what was the first food listed above? Green tea! The more green tea that you drink, the less chance you have of getting cancer. Here is an article called Great Foods that Fight Cancer. It mentions turmeric, green tea and other other more common foods. Above it says that it helps to prevent blood clots that cause heart attack and strokes. There is an article called Spices Stop Blood Clots Better Than Drugs. Besides mentioning turmeric it also says that piperine (remember from black pepper) helps prevent blood clots. It says that one of the most powerful spices for doing this is capsaicin. Now this is the main compound in cayenne pepper or red pepper. Most of the time curry contains red pepper as mentioned above. Also the other spices usually found in curry are very healthy. I always buy the organic curry. I do not want pesticides in my spices. Turmeric shares similar liver protectant compounds that milk thistle and artichoke leaves contain. It is said to shrink engorged hepatic ducts, so it can be useful to treat liver conditions such as hepatitis, cirrhosis, and jaundice. This one benefit may influence many of the others since the less inflammation people have, the less chance they have of getting diseases associated with aging. This benefit was talked about in the article about liver and digestion. 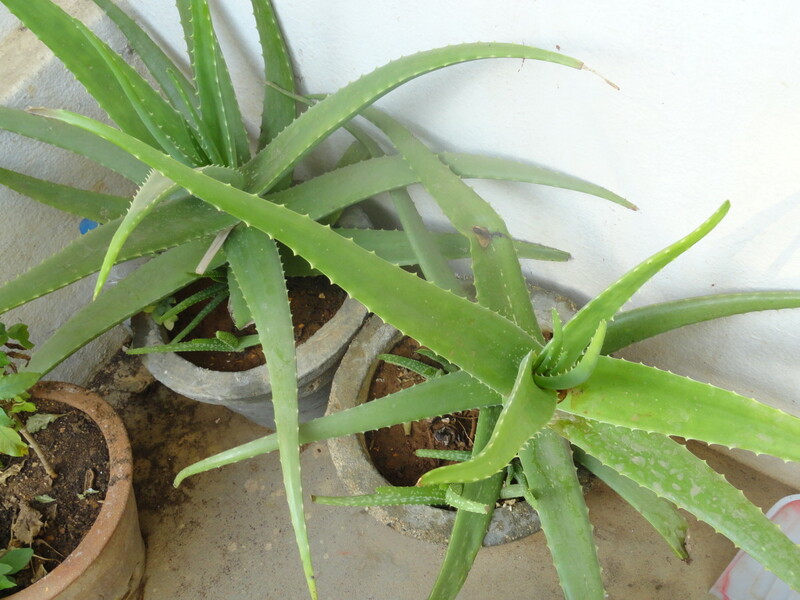 This herb stimulates bile production in the liver and this helps the body to digest fats. Aspirins helps pain and inflammation since they go together. This PubMed study talks about this, Efficacy of turmeric on blood sugar. Here is a great article called, How an MD Cured Hundreds of People of Diabetes. 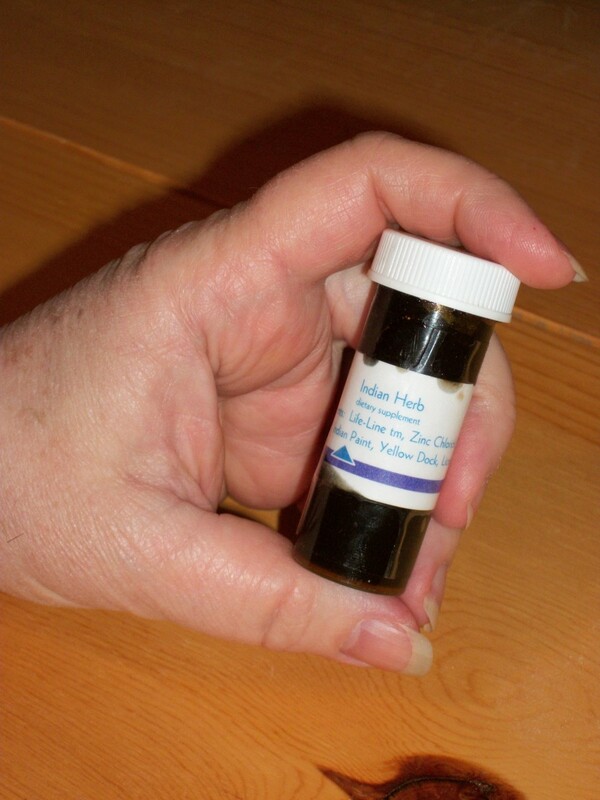 It has been used in various types of treatments for dementia and traumatic brain injury. Curcumin also has a potential role in the prevention and treatment of AD. 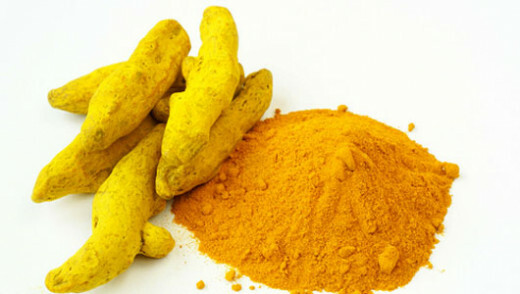 Curcumin as an antioxidant, anti-inflammatory and lipophilic action improves the cognitive functions in patients with AD. 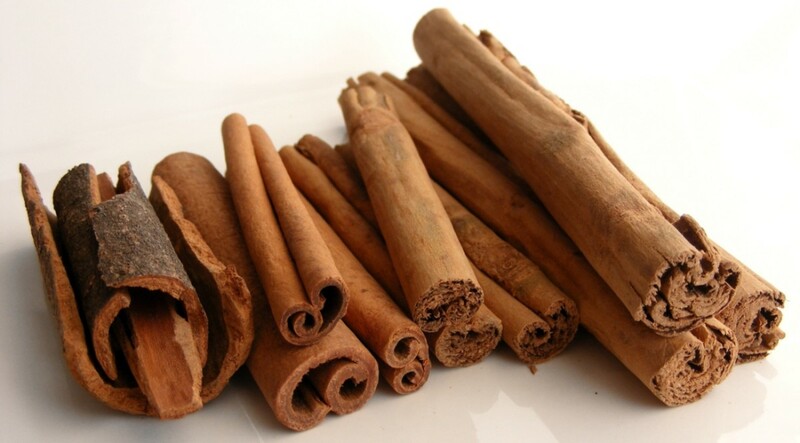 This spice even has the ability to heal wounds faster and repair already damaged skin. You can make a tea of it apply it topically. But as an herbalist, I feel that it is better to also take it internally when you use it externally. This is another reason that it is so effective in preventing cancer. I did not make this clear in the beginning but Indian food is my favorite style of food. Of course that Chinese restaurant mentioned above had the best food because the owner, Peter Fong, made it his mission to make vegan foods taste as good as possible and it was not limited to Chinese food. 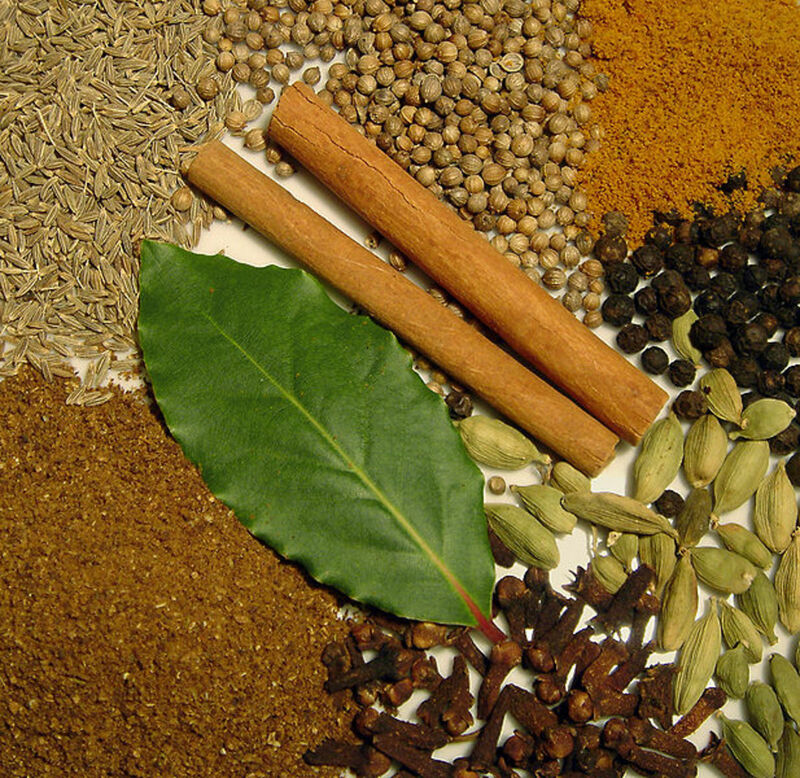 Which Spices Fight Inflammation? Shows what turmeric with curcumin can do by Michael Greger M.D. Boosting the Bioavailability of Curcumin. Dr. Greger talking about black pepper boosting the bioavailability of curcumin Turmeric. Lose weight, inflammation and indigestion with this raw Turmeric salad with fresh turmeric.